I was editing a post on Indian Recipes blog and when I clicked on update button all posts disappeared. 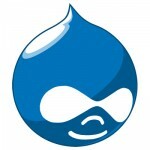 This was a shock as I have never seen such kind of problem before in WordPress. At first I thought that blog might have been infected with some malware as it is very common in WordPess blog. But a quick logical thinking ruled out malware. I didn’t update any plugin so it was not a plugin issue as well. The next logical step was to check the wp_posts table from phpMyAdmin which I did. And that is where I found the cause of this problem. wp_posts table was marked as crashed. 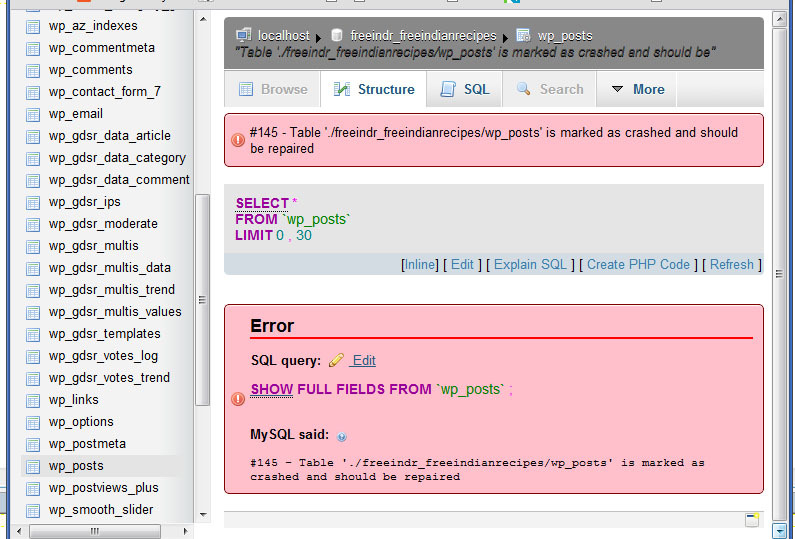 So here it was, the problem was with wp_posts table, it was crashed for some reason and needed a repair. Sigh of relief, in worst case I had to recover database from the backedup file. 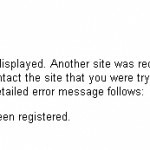 If you click on wp_posts from the left pane you will see the error shown in above image. 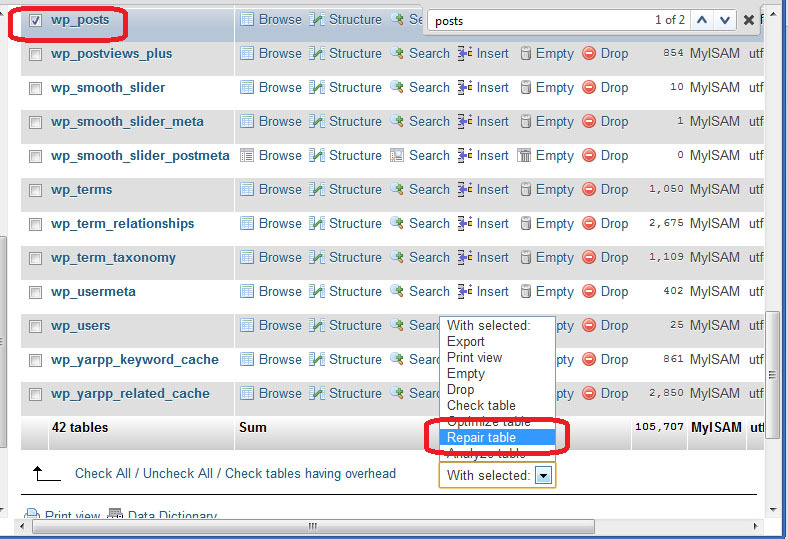 In phpMyAdmin click on the database name, tick the checkbox before wp_posts table, scroll down and select Repair Table. This will repair table and you will see no error now. You saved my life, I almost had heart attack when I saw all my post disappeared. I even didn’t backup before this happened.